Much research has been completed related to leadership theories and models. I tend to be fascinated by theories because they represent a system of principles upon which something is based. Starting with Trait Theory to Behavorial Theories to Contingency Theories, this research has impacted our belief about leadership today. The research continues to evolve and affects our thinking about Leadership. 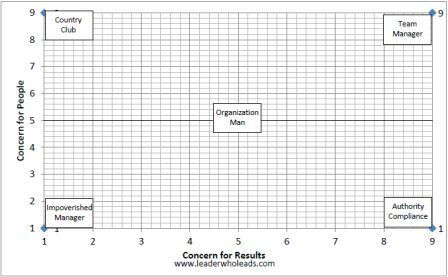 Leadership Trait Theory dates back to Thomas Carlyle’s “Great Man” theory and later by Galton, which sought to identify leaders based on physical attributes, personality type and abilities. Natural selection is the term most commonly used for this theory. At the heart of this early research is the belief that leaders are born not made, that leaders inherited personal characteristics or traits. If this theory proved to be true and leadership is innate, leaders could not be developed. They had to be born that way. Although many things were learned from the research, there were no strong correlations that proved leaders are indeed born that way. Trait Theory of leadership was widely accepted for more than 100 years, until it was criticized in the 1950s and strongly challenged in the 1980s. Out of the weaknesses found in Trait Theory, are three (3) theories upon which modern leadership theories are founded: Lewin, Ohio State and the Michigan studies. These theories are commonly referred to as Behavioral Theories. Kurt Lewin, along with Lippett and White, conducted research and identified three basic leadership styles: Autocratic, Democratic, and Laissez-faire. The premise is that a leader uses one of three styles when approaching the group of people they are leading. It further proposes that the style does not change based on the situation but is fixed. The leadership research conducted by Ohio State focused primarily on aircrews and pilots. The Leaders Behavior Description Questionnaire (LBDQ) is an outcome of that research which identified two dimensions of behavior demonstrated by leaders: Initiating structure and consideration. Initiating structure is more task oriented (similar to manager behavior) focused on defining and organizing work. Consideration is more relational where the leader focuses on creating a nurturing environment that fosters engagement and working well together. The study of leadership developed at the University of Michigan focused on the impact of the leader’s style. It relates directly to how the leader’s style affects the emotional atmosphere of the people within the work environment. In the Michigan Studies, two styles were identified: employee oriented and production oriented. Employee oriented style demonstrates concern for people and their needs. Robert Blake and Jane Mouton developed The Managerial Grid theory of leadership. This work focuses on attitudes: concern for people and concern for results. Of all the leadership theories, it is very well know. A visual representation of the Grid is shown below. Contingency Theories is based in the belief that leadership styles depends on the situation the leader encounters. One of the most well known, and a personal favorite, is the Situational Leadership Theory developed by Paul Hersey and Kenneth Blanchard.